About 24 hours before The Mockingbird Nashville hosts its first pre-opening event, both floors of the modern, up-scale diner are a cacophony of activity. And surprising good cheer. 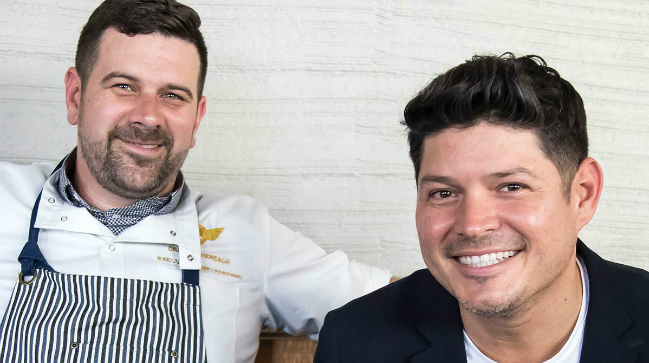 As a small construction crew and a team of kitchen staff and servers attend to last-minute details, co-creators and husbands Mikey Corona and Brian Riggenbach seem relaxed and happy. It's Riggenbach’s birthday, and a friend appears with a beautiful vase of flowers for the occasion. Corona says he’ll find ‘just the right spot’ to display them for their upcoming events. They talk and laugh and discuss the dishes they are preparing for a few minutes before their friend departs. Then they happily give more of their time for this interview. Riggenbach and Corona have established themselves already. Their very successful pop-up concept Yo Soy Underground Supper Club in Chicago has run for last twelve years. And Riggenbach received national attention when he was named “Chopped Champion” on The Food Network’s popular show “Chopped” two years ago. 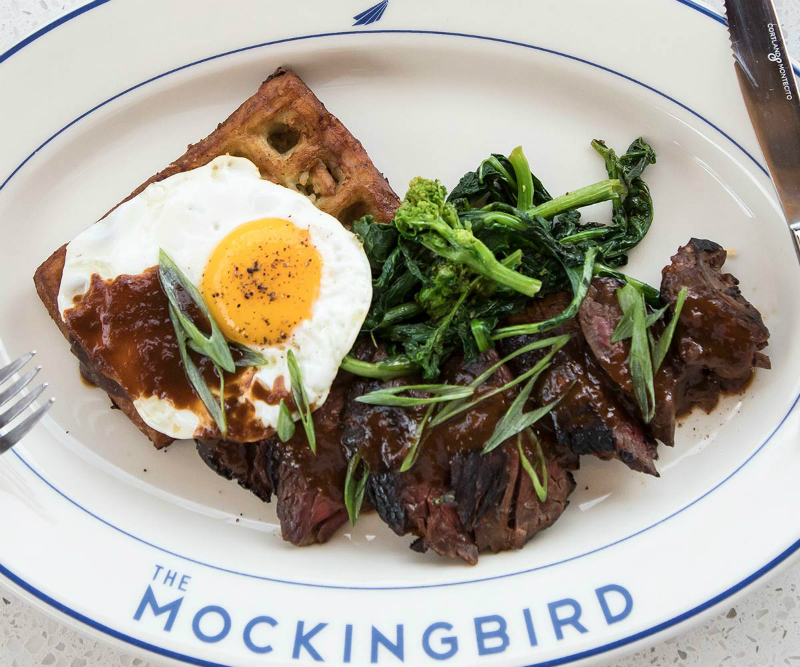 And now they have moved from Chicago to Nashville to build their first brick-and-mortar restaurant, The Mockingbird Nashville. Their personalities complement each other well as they tell their story. Riggenbach is quietly charming as he describes their inspired southern-meets-international fare. He grins as he reveals the playful, pun-filled names of their dishes. Corona is more expressive, enthusiastically telling the story of how they landed in Nashville, and the journey of the last year. Hiring construction crews and securing permits in a fast-growing city has been a challenge. Even finding available, quality kitchen and service staff in a small city known for its many excellent restaurants was a big effort that Riggenbach and Corona tackled each day together. “Working as a couple on a project like this has been both a blessing and a curse,” says Corona. “Of course we love working together. But when you have a rough day at work, it’s nice to come home to a partner that can support and encourage you. But when you’re working together, you’ve had the same bad day.” But their efforts paid off as the reality of The Mockingbird Nashville took shape around them. The journey to Music City began when long-time friend and “Chopped” judge Maneet Chauhan suggested they partner on a venture together. Chauhan is an established local restaurateur, with the Chauhan Ale & Masala House in Nashville and Mantra Artisan Ales brewery in Franklin. Last summer Chauhan took them on a culinary tour of Nashville, and they explored all the best restaurants the city has to offer. On the last day, she brought them back to the spot adjacent to Chauhan Ale & Masala House (which was just a construction zone at the time) and they discussed building their first restaurant there. Chauhan explained that the Nashville community might not embrace a new restaurant whose co-creators and head chef were managing the venture from afar. “And besides,” Corona says, “we’d always dreamed of opening a real restaurant. This is our baby. We didn’t like the idea of leaving it.” So, they packed up and moved here about a year ago. “We were wary at first about moving to the South as a gay couple,” says Corona. “Nashville’s culture is very different from Chicago. But we have surrounded ourselves with people that are supportive of us.” They made a lot of friends here, and soon after, felt that ‘big hug’ from the Nashville community at large, and our LGBT community in particular. "We think it's important, especially here in the South, to support other LGBT-friendly businesses that support our community, and us," says Corona. 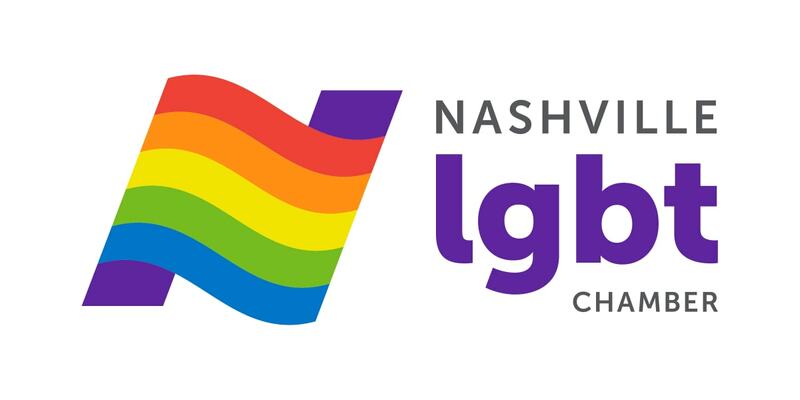 They joined the Nashville LGBT Chamber of Commerce soon after moving here, and found some great partners among its members. 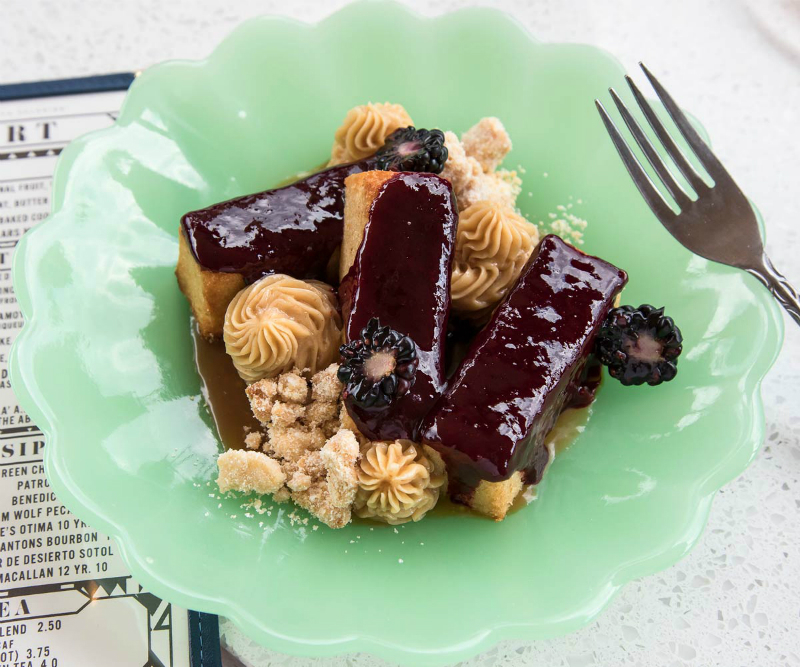 Riggenbach says that The Mockingbird Nashville will continue their theme of playing with international flavors, combining them with southern comfort foods and providing their own creative twist on American diner standards. They will have a set menu, but will rotate dishes seasonally. He notes, "One great thing about Tennessee is that we have all four seasons, and our cuisine can reflect that seasonality." The next day at their pre-opening event, The Mockingbird Nashville has been transformed from the day before. It looks beautiful. Servers float through the crowd offering samples of several dishes. The bartenders are chatting with their guests as they make their signature craft cocktails. Every single one of the servers and bartenders (and of course Corona, Riggenbach, and Chauhan) are all smiles, exuding Nashville charm. They are eager to welcome guests, describe the dishes in seductive detail, and invite us to sample more. They make it look so effortless. The Mockingbird Nashville opened to the public August 14th. For a detailed menu, and to make reservations, please visit their website, mockingbirdnashville.com.